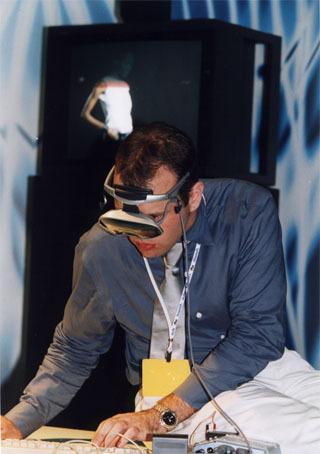 While working at Charmed Technology, I was extensively involved in the development of demonstration applications, business proposals, and initial sales of the CharmIT wearable computing kit. This kit was based on Prof.Thad Starner’s “Lizzy” wearable which he developed as a MIT Media Lab graduate student. Starting in late 1999, Greg Priest-Dorman revised the “Lizzy” kit with upgraded components and a new case. These revisions made the design attractive to wearable computing hobbyists and researchers. 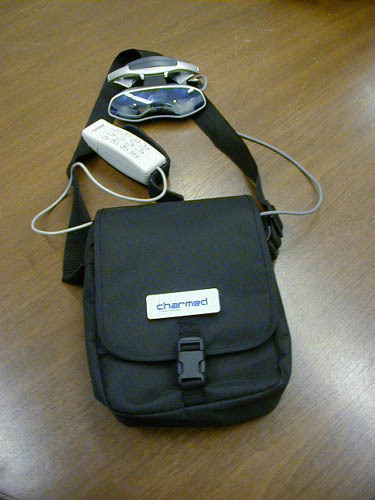 The kit became known as the “CharmIT”. 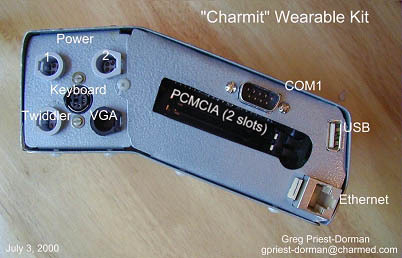 Georgia Tech researcher Dan Ashbrook built many of the first CharmIT’s sold in December-March 2001.